Dr. John’s very colorful musical career began in the 1950s when he wrote and played guitar on some of the greatest records to come out of the Crescent City. A notorious gun incident forced Dr. John to give up the guitar and concentrate on organ and piano. Further trouble at home sent him west in the 1960s, where he continued to be in demand as a session musician, playing on records by Sonny and Cher, Van Morrison and Aretha Franklin to name a few. A legend was born with his breakthrough 1968 album Gris-gris, which established his unique blend of voodoo mysticism, funk, rhythm and blues, psychedelic rock and Creole roots. His many career highlights include the masterful album Sun, Moon and Herbs in 1971 which included cameos from Eric Clapton and Mick Jagger and 1973’s In The Right Place which contained the chart hits “Right Place Wrong Time” and “Such A Night.”. 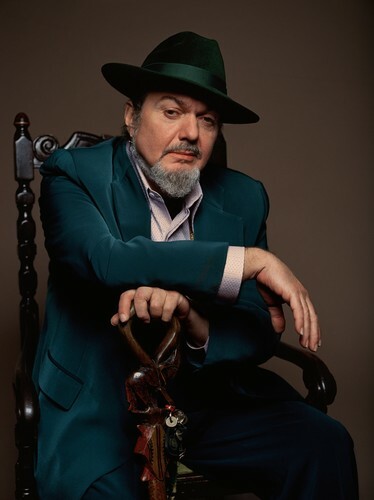 Dr. John won Grammy awards in 1989, 1992, 1996 and 2000 (and of course 2009). After a half century of creating music for others and himself, Dr. John continues to write, arrange, produce and interpret with a passion that has yet to wane.